In today’s marketing and brand structure social media has become central to many strategies, but The Page Group believes that social media must be analyzed to assure that it brings with it value that builds our brand connections with the core consumer. It further must be done so with a real goal and strategy in mind. It must activate an action we want our consumers to take, and we need to measure those results to assure we are always connecting with the appropriate messaging to continue that activation. Many business follow trends investing hundreds and even thousands of dollars into chasing the new fad without understanding the core relationship necessary to be successful in pursuing that strategy. We are seeing today that although Social Media is the dominant buzz word in marketing that in many cases there is no business strategy tied to the program. The company is just following the trend or fad. With many companies there is no measurement of results, and no focus on an action that the potential customer should be engaging in. With many companies there is no understanding of how it is going to enhance the brand and its brand connection to the core audience of the brand. We don’t see opportunities to activate some action on behalf of the customer. Nor, have they looked at the fundamentals of what is the ROI on an investment into staff, technology, and support for some social media efforts. 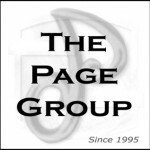 The Page Group focus on how consumers use the technologies first, then how to integrate the brand with those tools that the consumers are passionate about participating in, focusing on the core strategy first, and understanding the fundamentals that MUST BE Achieved before an investment is made. Identifying how this strategy is going to perform, and how it is going to enhance that relationship between the consumer and the brand. In some cases we will find that Social Media is not right for every business. But when the trigger for developing a strong social media campaign is reached then we know we have the strategy in place, the measurement tools ready to read results, and the activation plans in place to build an opportunity for a true ROI on the investment made into the space. Not just another expense item on the balance sheet.